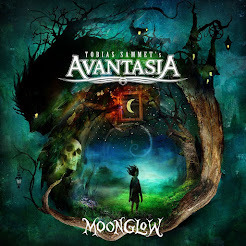 Rock & Metal 4 You: Album/Song of the year 2012 - # 03! Finally we made it to the top 3! On position # 03 we got another gifted guitar player (album) and a well known glam-rock band (song) - have a look! 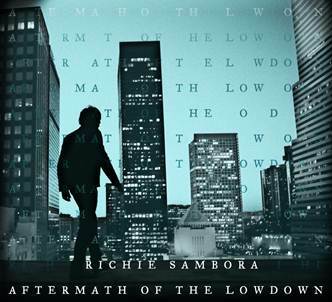 Number 3: RICHIE SAMBORA - "Aftermath Of The Lowdown"
14 years ... we had to wait 14 long years for this record, but the wait was worth it. Richie is not only the guitar player of Bon Jovi, he is also a very talented songwriter and a great singer. This album is a bit different, than his masterpieces he made in the 90's. "Aftermath Of The Lowdown" sounds more modern and it's not so bluesy like his older stuff. Richie proves on this record that he is still a guitar god and wants to rock (check out "Nowadays" or "Learning How To Fly On A Broken Wing"). That is something he couldn't do on the last Bon Jovi records. There are lots of great solos, amazing vocals and a lot of creativity on here. It's so much fun to hear him rockin' again. I already said it in my live review: Richie is the real hero behind his main band. I would like to hear a new Jon Bon Jovi solo album and compare it to this one. No chance, Jon. Richie made a better record than Bon Jovi did in the last 10 years. He delivers a bunch of songs that deserve the predicat "Hard Rock" and some great slower songs with lyrics to think about ("Seven Years Gone"). I would do anything if Bon Jovi would do things the way Richie did here. Hopefully this wasn't his last solo record! Number 3: WIG WAM - "Wall Street"
You remember the Eurovision Song Contest 2005 in Kiev? Wig Wam reached position # 09 in this contest with their hit-single "In My Dreams". This band and their songs were a blast. Some might say Wig Wam brought back the rock to the Eurovision Song Contest. Perhaps they paved the way for Lordi. Who knows? What I know is that this band sadly lost a lot of their magic. The new album this year was a big disappointment for me. Wig Wam tried too much to sound different ... big fail. But the first single of this record, called "Wall Street", shows that they can still write smash-hits. Wig Wam deliver here what they can do best: a catchy feel-good-song to sing-along! Hopefully the next album offers more like this. Come back tomorrow to see who barely missed the top spot!